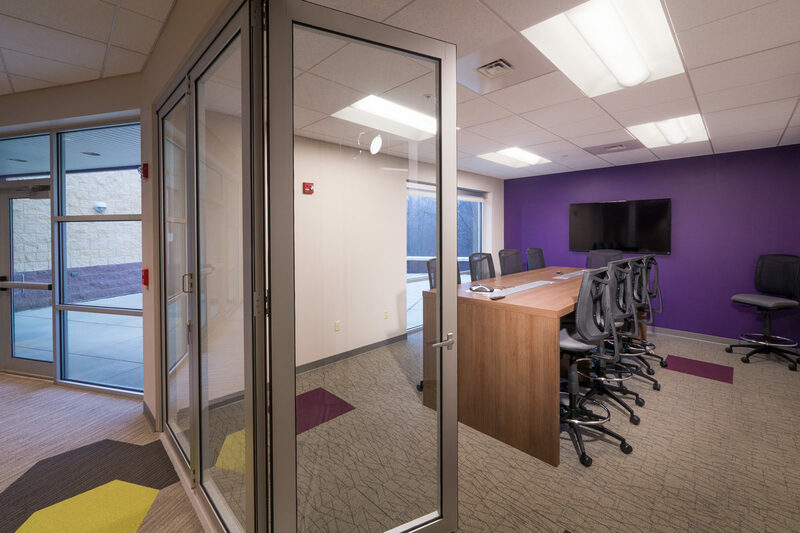 A study of their former facility lead to a relocation for Pennsylvania School Boards Association, to what has now been their home for eleven years. 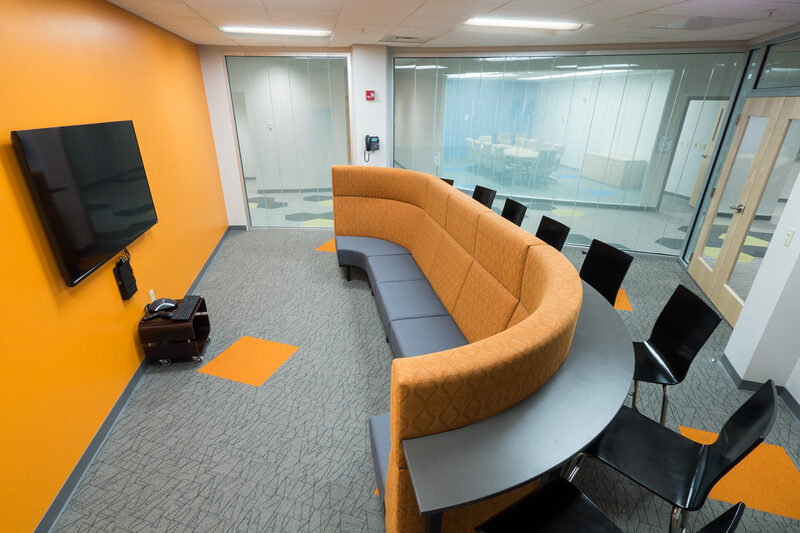 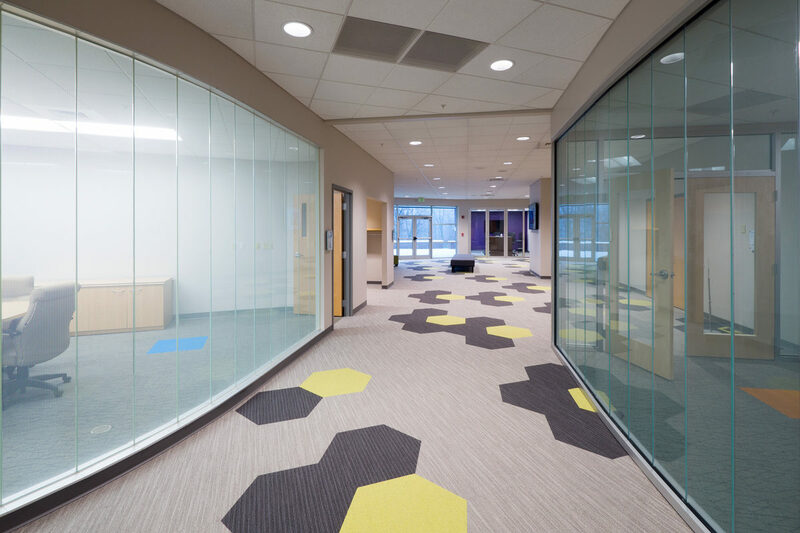 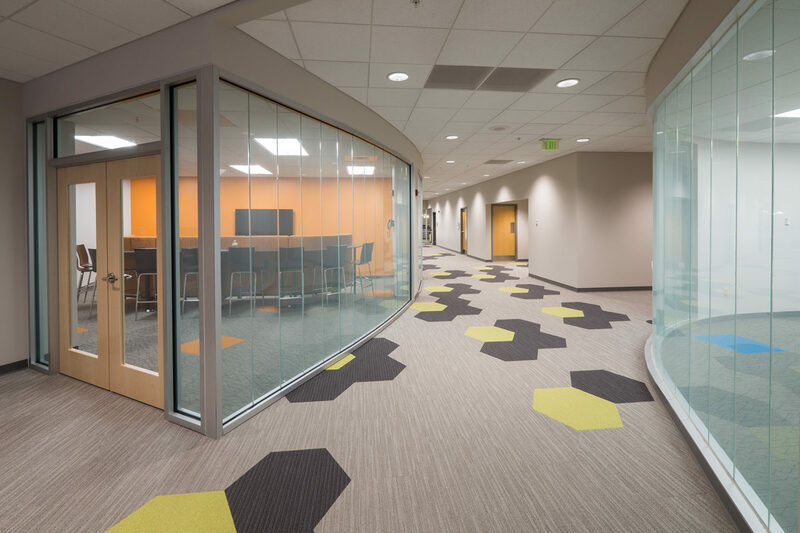 A thorough and thoughtful interior architectural plan had allowed PSBA to reinvent themselves within the same space over these years, but they now required a more modernized feel that reflected the group’s mission and a re-branding that would support its new vision. 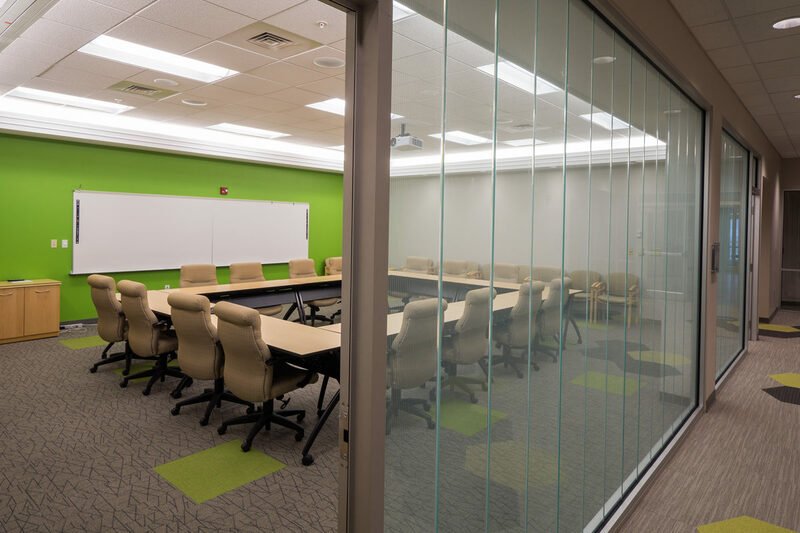 Our long-term relationship and strong understanding of PSBA’s new vision, coupled with good, flexible design solutions over the years, allowed for updates that were cost and brand effective. 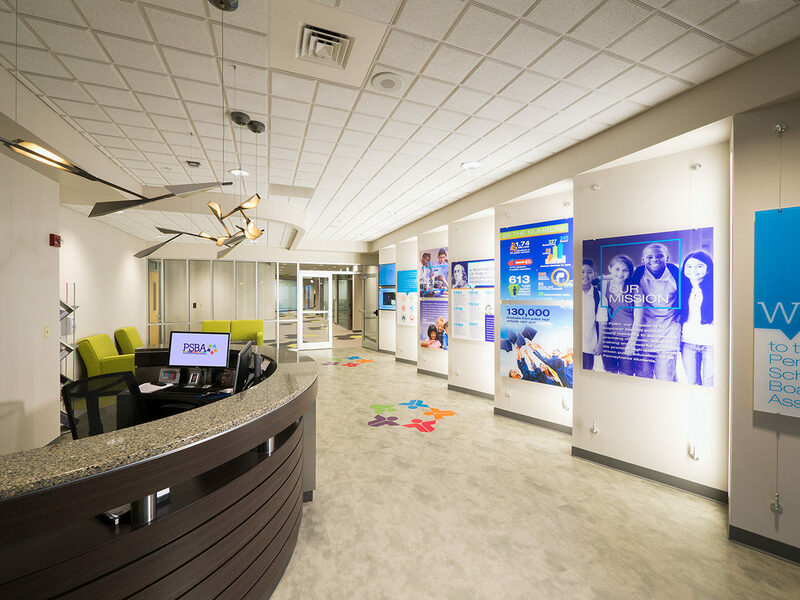 The brand is easily identifiable as you enter the main lobby, represented through interchangeable graphics depicting PSBA’s mission and goals. 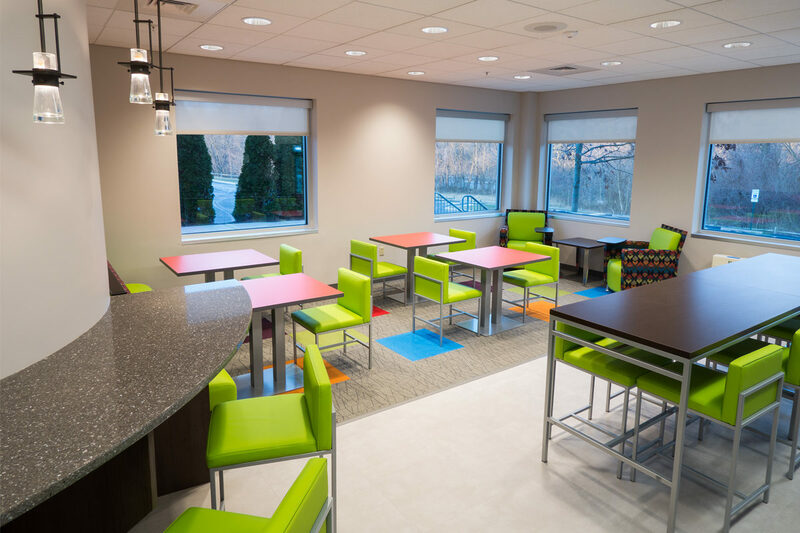 Furthered by their brightly colored logo woven into the floor tile pattern, modern accent lighting, fabrics and wall colors that pop and inspire.